It’s a popular thought: an online t-shirt design tool will make all of the difference for your print shop. Just a few of the dozens of online t-shirt design tools available to consumers. You think: I want to take my share of the business that Custom Ink, Spreadshirt, Zazzle, and dozens of other design tool-based brands do. After all, they have sales in the hundreds of millions of dollars. They have international sales projects and huge customer service teams. They have advertising everywhere. It seems like those online design tools funnel screen printing and direct to garment jobs into their production facilities with ease. From the perspective of a small-to-medium sized business (SMB), it looks like you can duplicate their model easily. Add a designer tool to your website and boom! Sales! Customers simply go to your website, design their t-shirt, and hit submit! No more back and forth with approvals, quantity adjustments and last minute changes. You can just focus on fulfillment and let the money roll in! If it were that easy, we’d all be screen printing millionaires eating caviar on our yachts at ISS Long Beach. Let’s dig in to the two big reasons that online t-shirt design tools actually hurt sales. Did you know the average job size for the large designer tool websites is in the single digits? Data from one year of a print shop's online designer tool showing more than 60% of online designer tool jobs were for less than 12 pieces. This is a profitable niche for large-scale fulfillment companies. Their organizational focus is on marketing and supply chain optimization. They’re able to raise capital and dive head first into growth, marketing, conversion optimization, engineering, product design, and complex consumer research. Because their growth is explosive, they will struggle to deliver incredible customer support that scales over time. Hint: this is where your shop can excel (more on this shortly). These small jobs that seem so plentiful and easy actually require hefty resources in your shop. Sure, you could charge $60/shirt to compensate for your time – but you’ll receive a “That’s crazy!” response from the customer. Are we saying orders for low quantities should be ignored? Absolutely not. They can lead to larger orders, great local connections, and referrals. The expectation that an online t-shirt designer tool will create a consistent flow of these orders – without front-office handling, and requiring few production resources – is incorrect. Over time, you will want to identify your lowest value customers. These are customers who require lots of administrative time with little monetary return: they offer a low return on investment. These are the customers who always ask for 2 more shirts after the job is done, want 4 artwork revisions, can’t approve their jobs on time, persistently haggle over pricing, and so on. Guess what? They tend to be customers that generate very little of your overall revenue. As you grow your shop, focus on the high value customers. A common pattern emerges in print shops (and many other parts of life) called the Pareto principle: 80% of your revenue flows from 20% of your customers. A design tool does very little to advance your shop toward the next step. Focused searching and acquisition of similar high value, revenue-generating customers. Do you know the marketing budget for Custom Ink, Zazzle, and Spreadshirt? Let’s do some back-of-the-envelope calculations. The total estimated revenue during 2015 for all three companies was (conservatively) estimated at $670M. Let’s guess that only 15% of revenue goes to marketing. This puts us at $100M in marketing efforts between these three companies. Why are these companies spending a hundred million dollars (and likely more) to market their online designer tools? Don't these tools supposedly sell themselves? The business model of these companies has a sales funnel where drop off occurs. Let me explain with a diagram: below is a very simplified sales funnel with each step of a designer tool-based website. There are 8 steps, along with a cone that gets smaller as it goes down. At each stage in the funnel, a percentage of customers leave. They leave the funnel due to product confusion, loss of interest, frustration, lack of selection, price concerns – any number of issues. Understand why people left the sales funnel. This means expending resources on R&D into user experience, customer tracking, customer research, advertising, web design, and continuous efforts to improve their retention. Draw people back to their site after they've left the sales funnel. This can include retargeting ads, email drip campaigns, phone calls, direct mail, and even mass media advertisements. Larger, designer tool based companies understand this. They have the capital to hire marketing teams to tackle this problem and convert shoppers into customers. A small-to-medium sized screen printing shop doesn’t have the resources to measure, test, design, automate, and iterate in a way that leverages this sales funnel. That’s okay! Your business has other characteristics that it can compete with. Your goal is to create the easiest funnel with least customer drop off. How do you do this? A simple contact form. New customers need the easiest way to get into contact with you. This means a visible phone number, email address and short form to fill out for inquiries. Existing customers are going to email and text you for re-orders, which is their easiest way of reaching out. We had a hunch that this was the case, so for the past year we've worked with a screen printing shop to track and compare how their online design tool compares to a simple online contact form. The data was drawn from a year-long A/B test, though customers could utilize either option. The results? The online form blew away the designer tool in volume, generating 610 unique leads over the course of a year. The t-shirt designer tool, meanwhile, generated 191 leads. More interestingly, the quality of leads from the t-shirt designer tool was very low. Most of the jobs were in the single digits (just as we expected) and very few of the orders were actually completed. Meanwhile, the online form captured several dozen screen printing jobs that ranged from 50 to 500 pieces and accounted for a much larger share of the year's revenue. Be the custom t-shirt expert. An online design tool may seem simple, but the truth is that it's daunting to a great number of your customers. They want someone to hold their hand and guide them through the process as an expert. You can even select the garments that turn you the most profit – or are your favorite to print on. Create incredible customer experiences. Your small and nimble size gives you a personal advantage. People still want to be treated like unique humans. Your shop can do that – Custom Ink, on the other hand, will struggle tremendously to provide personalized service (and has to expend far more resources to do it). Find who you want to print for. Having vision about who your customers are – and then pursuing those customers – is one of the most effective ways to play your own game on turf you can conquer instead of taking every small job that uses your online design tool. Customer service is how you add value to each and every sale you make. The basics are still the same: respond to emails within 10 minutes, answer all phone calls, make shop visits and face-to-face meetings a special occasion – just to start. It’s hard to do this consistently for years to come. But for shop after shop, this is their key differentiator. It's even the reason that customers will pay more to work with you. By this point, you may think we have a disdain for designer tools. That's not the case. I feel they have a place in your business. But they're not . a magic bullet, and it's unrealistic to believe that a majority of your customers will even want to use a design tool. For customers who want shirts but don’t know what type of design they’d like, design tools come in handy. You can point them to a webpage on your site and let them design away. 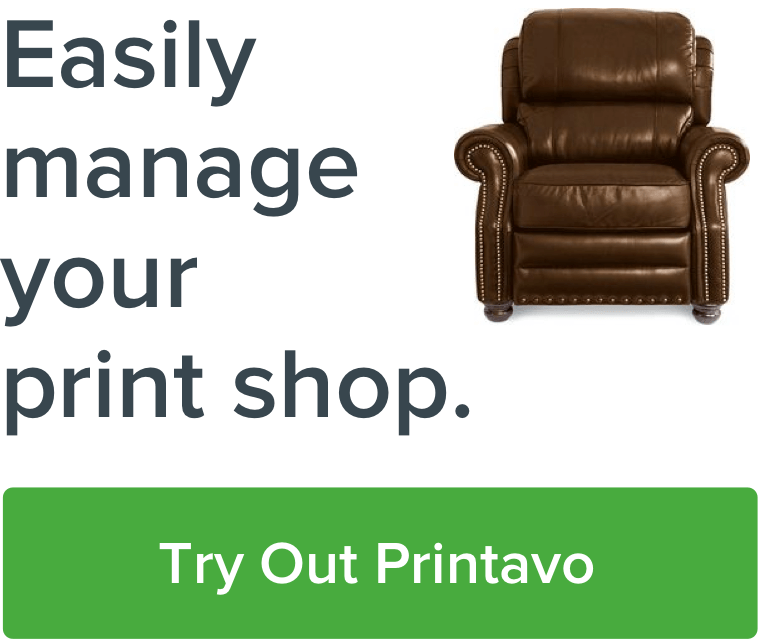 Restrict their print location options to a finite set, and you’re ready to manage the rest of the order process. There are quite a few options to utilize such as jQuery T-shirt Designer, InkSoft, or InkXE. It’s exciting to see new technology come into our industry. With proper guidance and a focus on our strengths, we can create more efficient and profitable shops. The way forward is not a single piece of software or hardware. Focus on values and long-term motivations. Your infinite path. The reason your business exists. The thing that will keep you going for years. The reasons customers choose to work with you. They choose your shop for a reason, and it's likely one you can control. Constantly researching and communicating with your customers. You have to go to the source to get the knowledge. Keeping customer satisfaction at the foundation. Your business exists to create customers. Double down on the ways you can execute on these values and let them guide your business for the next 50 years.